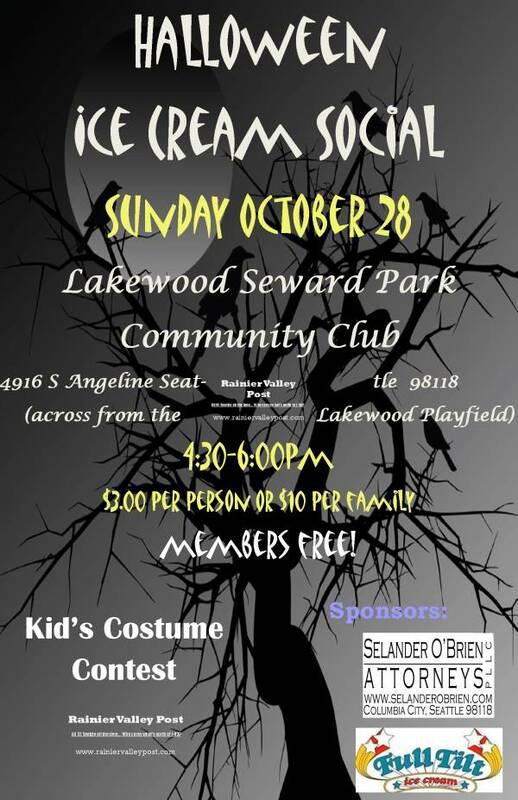 The Lakewood Seward Park Community Club invites everyone to join us on Sunday October 28th for this fun family event featuring ice cream and a costume contest with prizes for the kids - It's fun time giving kids the opportunity to wear their costumes before the big night. Features ice cream from Full Tilt (vegan option available). Members welcome for free. $3 person/ $10 family for non-members. 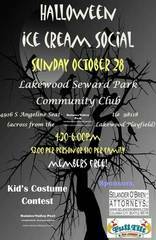 The Lakewood Seward Park Community Clubhouse is located at 4916 S Angeline, Seattle WA 98118 (50th Ave S and S Angeline).